A nod to days of old, this top quality rayon-linen 5-piece knickers set is fresh and new for spring 2016. This set is classically styled with clean lines that bring the sophistication of another era to your spring and summer special events. 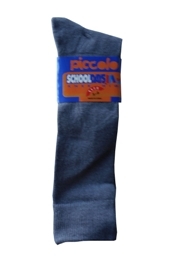 It comes in four different colors: Light Gray, Khaki, Light Blue, and Charcoal and includes knicker pants with an elastic back, a long- sleeve white or ivory shirt depending on your color selection, a matching bow tie, a pie cut newsboy cap, and adjustable suspenders. This outfit can be classically styled by pairing it with plain or argyle knee socks, a sturdy set of oxford shoes, and a trendy patterned tie to create your own unique look. Once your special occasion is over the individual pieces are incredibly versatile and can be used as separates to create a variety of different look and feel outfits. On request we can pair the knickers with a short-sleeve shirt for hotter weather days. This outfit is made in USA by Lito. 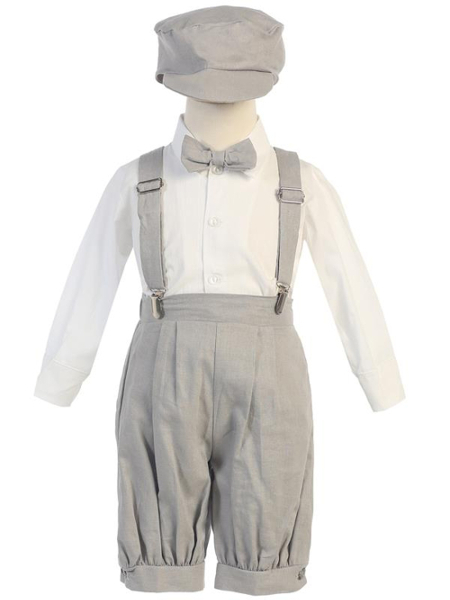 The knickers, suspenders, bow tie and hat are a rayon-linen blend. Head’s up, this outfit will wrinkle. The shirt is 35%-65% cotton-poly blend. It is recommended that this outfit be machine washed in cold and tumbled dry on low heat. Special Sizing Note: This outfit is cut on the small side of the general sizing guidelines. 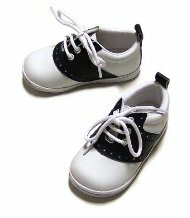 Please consider ordering up one size if your child is near or at the top of their size category.